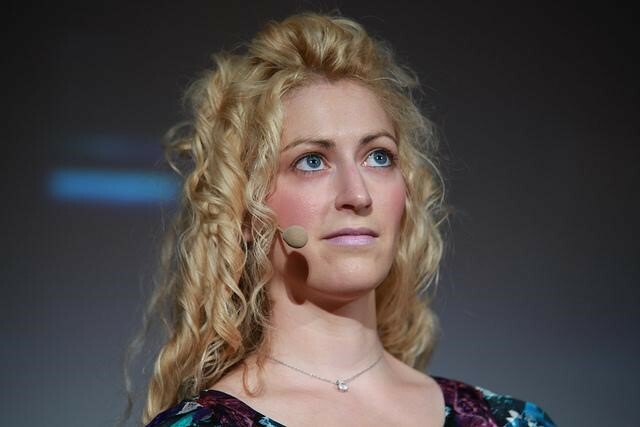 Jane McGonigal is a pioneer in studying the use of games and game-inspired ideas to improve human life. Her first book, Reality Is Broken: Why Games Make Us Better and How They Can Change the World (Penguin Books, 2011) is a bestseller that has inspired many people into further researching and employing games and gameful design for serious goals. Her TED talks have been seen by more than 5 million people over the last 5 years. Jane McGonigal on stage at Meet the Media Guru in Milan, Italy, May 2011. Photo by Paolo Sacchi, MMG. Her new book, SuperBetter: A Revolutionary Approach to Getting Stronger, Happier, Braver and More Resilient–Powered by the Science of Games (Penguin Books, 2015), seeks to explain in detail the SuperBetter method, which aims to teach how to live and overcome every life obstacle with a gameful mindset. McGonigal defined what “being gameful” means to her back in 2009: “having the positive traits of a gamer” (or a game), such as strong motivation and goal orientation, confidence in one’s own capabilities, enjoying the pursuit of new challenges, perseverance in the face of obstacles, and a passion for learning new skills 1. SuperBetter explains how to bring this mindset to everyday life. The ability to confidently face challenges head-on instead of trying to escape them. The SuperBetter method has been used by thousands of people since 2011. Many of them claim that SuperBetter helped them overcome health challenges like anxiety, depression, concussion, post-traumatic stress disorder, and chronic pain, among others, or just achieve challenging life goals. McGonigal claims that the method helps users experience post-ecstatic growth, which are positive psychological changes after extremely good experiences in one’s life, a term coined by Ph.D. Candidate Ann Marie Roepke from the University of Pennsylvania 2. 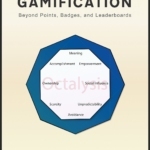 It seems to me that the book makes a solid contribution to anyone interested in the use of games or gameful inspiration to achieve real-life goals. However, there is still a need to further investigate its efficacy and applications. The book is divided into three parts. Part 1 explains and presents evidence on how games can help improve one’s life. It is also where the four mentioned intrinsic gameful strengths are introduced. Each of these strengths is explained in detail, and McGonigal then proceeds to show how games can help improve these innate qualities. She also introduces her concept of “play with purpose”, the act of identifying benefits that can be learned from game playing and later applied in a real-life goal or situation, such as building a skill or talent, or a positive change on how one feels, thinks, or interacts with others. Moreover, she analyzes the issue of video game addiction. McGonigal argues that learning to play with purpose is a key factor to benefiting from game playing, whereas those who play games to escape real life problems are more susceptible to addiction. In other words, games should be played to improve one’s abilities to face real-life problems, not to escape and avoid facing them. Challenge yourself: decide what real-life obstacle to tackle, or what positive change to make. Collect and activate power-ups: good things that reliably make you feel happier, healthier, or stronger. Find and battle the bad guys: anything that blocks progress or causes anxiety, pain, or distress. Seek out and complete quests: simple, daily actions that help you reach your bigger goals. Recruit your allies: friends and family members who will help you along the way. Adopt a secret identity: pick a heroic nickname that highlights your unique personal strengths. One interesting feature of the book is that it is filled with 45 small quests that the reader is invited to carry out while reading. These quests are meant to help the reader understand how each point introduced works, and also to guide the reader into actually learning how to apply the seven gameful rules. Thus, the book itself is also gameful! Time Rich (10 quests in 10 days): aimed at improving time management skills. The three adventures represent an interesting example of the SuperBetter method in practice. Each one of them shows how to use power-ups and quests to work towards the chosen goal a little bit each day, and how to battle the bad guys to overcome the obstacles that emerge on the way. 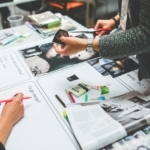 In addition, they are very useful guidelines for improving one’s skills in each of the three areas which they aim to help, based on scientific findings and gameful inspiration. McGonigal then invites the reader to employ the acquired knowledge to create their own adventures, based on their life goals. Furthermore, the book features an additional chapter that summarizes two research studies conducted to evaluate the efficacy of SuperBetter as a companion to standard depression treatment. The first study, conducted by the University of Pennsylvania 3, enrolled 236 participants with clinical depression in a randomized controlled study. The study reported that participants who used SuperBetter for thirty days experienced a significantly and moderately higher improvement of their condition than the control group. The second study was a clinical trial with Ohio State University Wexner Medical Center and Cincinnati Children’s Hospital 4. The study enrolled twenty patients aged thirteen to twenty who were dealing with recovery from a mild traumatic brain injury or concussion. They were invited to use SuperBetter for six weeks, by recommendation of the medical practitioners, concomitantly to standard treatments. The use of SuperBetter was reported to be “a powerful complement to traditional medical care”. Despite the positive results, McGonigal is cautious to mention the limitations of current studies and to state that further evaluation is still needed. She reasons that it is worth considering “the possibility that the SuperBetter method may only appeal to or work for individuals who are actively seeking solutions and who are particularly motivated to get better”. SuperBetter has received mixed opinions. Many people claim that the method has really helped them achieve their goals or overcome their obstacles over the years, and many reviewers have praised it. However, other reviews have questioned its efficacy and evaluation so far. McGonigal’s arguments are certainly informed by quality research, not only from the field of game studies but also with a solid contribution from the fields of psychology and medicine. Nonetheless, her methodology has been the subject of some skepticism. Firstly, it could be argued that using games to improve real life is not entirely a new idea, as some kinds of games, such as collective sports, have long been praised as great opportunities to teach essential life skills, like group work, physical and mental resilience, leadership, etc. However, these benefits are often harder to see within digital gameplay, and McGonigal does a great job of exemplifying how they can be achieved with digital games. The criticism over the SuperBetter method mainly converges into three points: that it suggests every action in life should be turned into a game or a gameful activity, that it suggests people should hide their negative feelings or disguise them as games, and that most of the activities proposed in the book are common and familiar techniques of personal care. In my opinion, some of these critiques may have missed the real point. McGonigal is not trying to convince us that everything in life should be carried out as if it was a game. The concept of a gameful mindset implies that one will be carrying out their normal life activities; it is the state of mind behind them that changes. SuperBetter advocates a mindset based on embracing challenges and being motivated by them. Moreover, the book does not suggest that the SuperBetter method should be used nonstop nor that one needs to include all of their life’s activities into the gameful approach. Instead, McGonigal suggests that SuperBetter is better employed to achieve specific goals. Thus, she suggests that the first step is choosing a specific goal, and then employing the method until this goal is achieved. The process can later be started again with a different goal in mind. 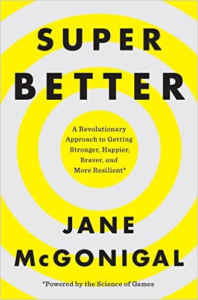 McGonigal herself and different people have reported alternating between periods of employing SuperBetter to achieve a specific goal, with periods when they felt they were not in need of it. I also cannot find any evidence of McGonigal suggesting users hide from negative feelings. On the contrary, the SuperBetter method encourages users to identify such feelings and difficulties and to devise a plan to overcome these challenges. It represents a very beneficial approach that encourages one to face life obstacles instead of avoiding them. That being said, it can be argued that sometimes McGonigal seems to be excessively enthusiastic and optimistic. Some of the benefits that she brings up may seem unrealistic, as when she claims that simple tasks like standing up for a few minutes can improve physical resilience so much that it is enough to extend your life expectancy by a few minutes. While I agree that such claims should probably be read with a grain of salt, I also think that this mindset may be useful in some situations. For example, for someone suffering from depression or chronic pain, it is possible that such a simple task as standing up for a few minutes may represent a difficult challenge to overcome. In that case, is it not beneficial when one is able to recognize their achievement when they manage to accomplish this task, as small as it may be? The originality of McGonigal’s ideas is not in its list of a number of well-known techniques for well-being. It is also clear that those people who already feel perfectly able to overcome their life challenges and work towards their goals may find little benefit from the SuperBetter method. However, there is a growing amount of people in the world struggling to achieve their goals. Depression and anxiety are becoming some of the most common health issues worldwide. For instance, the World Health Organization has estimated that 350 million people of all ages were suffering from depression in 2012 and claimed that depression is the leading cause of disability worldwide and a major contributor to the overall global burden of disease 5. Simple actions that may be trivially carried out by healthy individuals may represent a rather difficult challenge for someone who is suffering from one of these conditions. The SuperBetter method enters, then, not only as a list of actions to be carried out, but as a structured goal-setting, monitoring, and self-rewarding method aimed at helping these individuals boost their motivation and willpower. 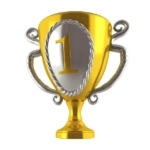 It is also worth considering that SuperBetter is heavily challenge-oriented and goal-oriented. McGonigal first designed it for herself, to help her recover from a severe concussion. And she identifies herself as a highly challenge-oriented and a non-playful person 1. As recent research on player typologies has demonstrated, some people are motivated by challenges and goals, while others find motivation on different types of activities 6,7. That being the case, it is possible that the SuperBetter method is remarkably appealing to achiever-types while it may not be so for other player types. As McGonigal reasons on the book, it is also possible that it works better for people who already have some motivation to get better. But to the best of my knowledge, no one has conducted studies to investigate these factors yet. Thus, these are questions that still remain to be investigated. Nonetheless, even if SuperBetter is not equally effective for everyone, it still has its usefulness if those who embrace it and who immerse themselves in its philosophy are able to get what they need out of it. To sum up, I would recommend this book for everyone. For scholars interested in game studies or gameful design, it is a remarkable book that presents a significant contribution to the field and inspires further research. For everyone else, it is an inspiring message aimed at improving one’s life. Even if you do not feel that fully employing the SuperBetter method is the best path for you, I am sure you will find some useful insights and inspiration for a better life. Originally published by the First Person Scholar blog. SuperBetter: A Revolutionary Approach to Getting Stronger, Happier, Braver and More Resilient–Powered by the Science of Games. Penguin Press, 480 pp., September 2015. Jane McGonigal. “I’m Not Playful, I’m Gameful”. In: Steffen P. Walz and Sebastian Deterding. 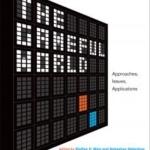 The Gameful World: Approaches, Issues, Applications. MIT Press, 2015. Ann Marie Roepke. “Gains without pains? Growth after positive events”. The Journal of Positive Psychology 8.4 (2013): 280–291. Ann Marie Roepke et al. “Randomized Controlled Trial of SuperBetter, a Smartphone-Based/Internet-Based Self-Help Tool to Reduce Depressive Symptoms”. Games for Health Journal 4.3 (2015): 235–246. “Clinical Trial of a Rehabilitation Game — SuperBetter”. NIH-funded trial in collaboration with Ohio State University Medical Center. Trial # NCT01398566. Web, 2015. World Health Organization. “Depression (Fact Sheet Nº 369)”. Web, 2012. Lennart E. Nacke, Chris Bateman, and Regan L. Mandryk. 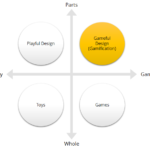 “BrainHex: A neurobiological gamer typology survey”. Entertainment Computing 5.1 (2014): 55–62. Andrzej Marczewski. “User Types”. In: Andrzej Marczewski. Even Ninja Monkeys Like to Play: Gamification, Game Thinking and Motivational Design. CreateSpace Independent Publishing Platform, 2015: 65–80.